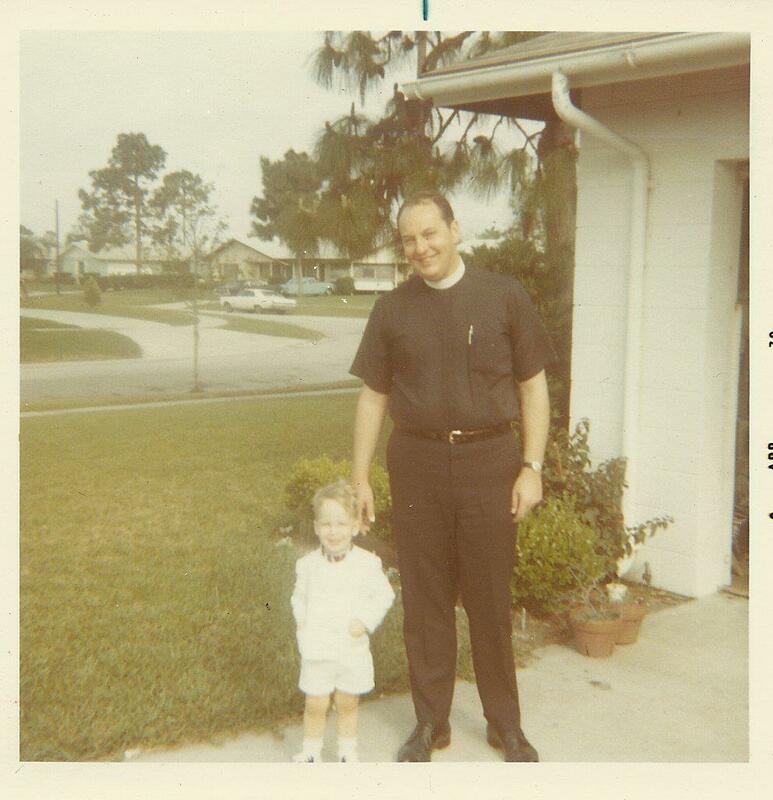 Dad and me in Orlando, 1970. In this picture, you can see his hand touching my cheek, a simple gesture of physical affection that characterized his relationship with me and our whole family. He held me in his arms (and he held my mother and my siblings, too), and he told me he loved me in countless ways. When I shared this picture on Facebook, my sister instantly responded that she recognized his gesture — the “sense memory” is as strong for her as it is for me. My wife and I have spoken many times about what a blessing it is for both of us to have had this kind of unconditional love in our lives. Even though we do not have children of our own, we have been privileged to share our love with others, especially our “daughter” Anna (we don’t put quotation marks around her in real life, you understand). We are well pleased with her, and I’m especially looking forward to holding her son, my grandson, after he’s born in October. You have it in your power to give this kind of love, too. You can be for another person — a child or a grownup — the same kind of blessing that my father was. You can embrace them in the kind of love the Father has for all of his children. Who is your beloved? Who needs to feel the touch of your hand on their cheek and hear from you that you are well pleased? This entry was posted in Daily Office on September 25, 2012 by Rodger Patience.